Amidst the craze of New York Fashion Week, we can't help but start to dream about what our fall wardrobes are going to look like. Accordingly, we sifted through the best of F/W 14's runways to present the most wearable trends every style-conscious woman will want in her closet. From the fashion crowd's latest coat craze to the statement jewellery piece of the season, click through to shop fall's top 10 trends! Thin belts have taken a backseat this season to waist-cinchers of substantial proportion. The flattering trend was spotted on many runways from Marc by Marc Jacobs’ sumo wrestler-inspired version to Balmain’s animal-print iteration. From the furry texture to the sleek gold hardware, there’s not a single detail on this belt we don’t love. A rich bordeaux colour never fails to sweep us off our feet come fall. ?Style tip: Faux suede always looks more expensive than faux leather. ?We’re picturing this belted over one of de la Renta’s gorgeous gowns. This belt would look stylish over an unstructured blazer. As our own Hillary Kerr and Katherine Power discussed in their recent Extra interview, red is the colour for fall. We love the look of a vibrant vermilion dress as seen at Dolce & Gabbana, Zac Posen, and Prada. ?This red confection is nothing short of show-stopping. ?We love how the sleek cut of this gown allows the brilliant colour to take center stage. ?This affordable dress touches on a second major trend for the season: pleats. Polka-dots and an apple print may sound twee, but this stunning dress is anything but. ?If you’re more of a separates type of girl, try this dramatic top with a full red skirt. Why be weighed down by a cumbersome tote when you can follow in Louis Vuitton, Chanel, and Valentino’s fall footsteps by means of a petite purse? We present: the purse that will go with (practically) everything. This purse will make you feel like a fashion insider, trust us. Meet your new party purse! Why wouldn’t you want a teeny, tiny bowling bag? This bag has major fashion editor vibes. 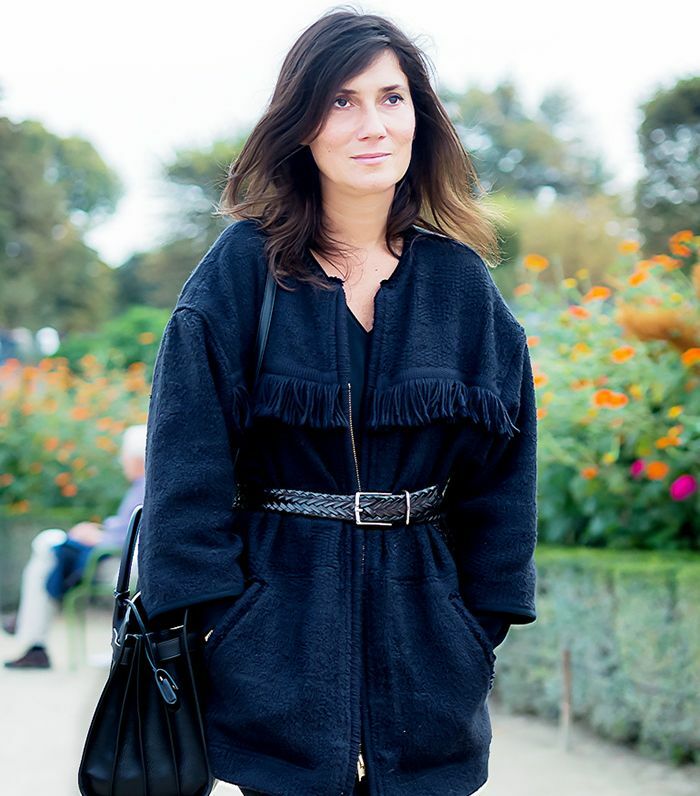 Consider it an extension of the fashion frump trend, but the biggest outerwear of the moment is a blanket-like coat. A far cry from your convenience store Snuggie, the cosy wraps were spotted everywhere from Burberry Prorsum to Etro and Roberto Cavalli. ?Have you ever seen a coat that looked cozier? ?If Burberry is on board with the blanket trend, you can count us in too. ?Perhaps the most blanket-like of the bunch, this poncho is a stylish response to the Baja sweater. ?Red is trending for fall, so why not hit two trends with one coat? The Row's signature look is oversized, so it’s no surprise they have a blanket coat for fall. From the shearling-trimmed heels at Chloe to the jaw-dropping colourful coats at Prada, we’re head over heels for this cosy trend. This is the ultimate It-girl jacket. 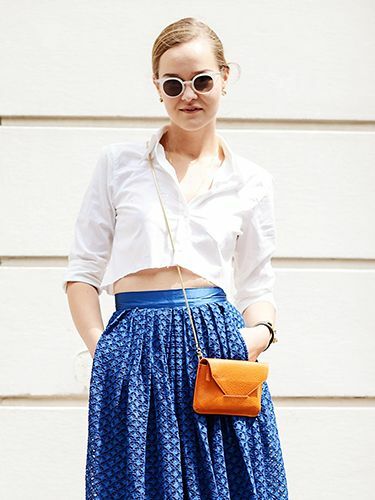 Tuck a button-down shirt into this skirt for a stylish work ensemble. Oh hey, street style bait! Just picture how chic this faux shearling coat would look with skinny jeans and penny loafers. It’s not knitwear’s first fall rodeo, but this season we’re seeing beautifully woven fabrics in fresh variations (think: pants and pencil skirts) from favourites like Calvin Klein Collection, Michael Kors, and The Row. Proof that you should still be wearing white. Nothing like a tomato red sweater to brighten your mood! 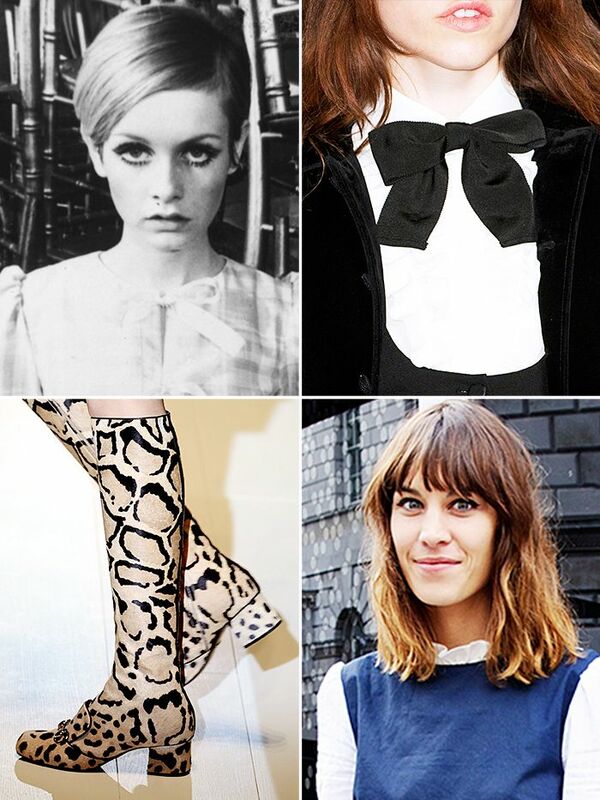 Wear a crisp white button-down shirt underneath this dress for an Alexa Chung-inspired look. It doesn’t get much cozier than a knitted shoulder bag. The ‘60s are getting a major breath of fresh air thanks to fall runways like Saint Laurent and House of Holland who showed modern, glamorous takes on the trend. Mod 101: Wear a shift dress! A beautiful tweed miniskirt is well worth the investment! This hat was made for selfies, just saying. Style this mustard yellow blouse with black jeans and Mary Jane pumps. 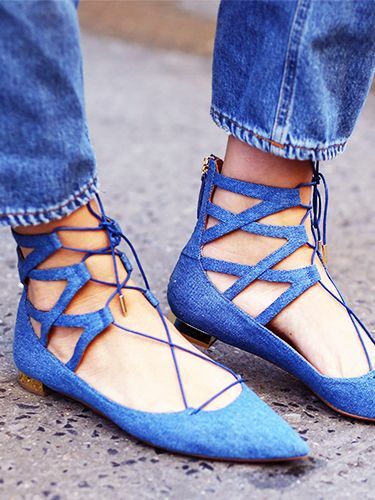 These flats are a subtle way to add a mod element to your look. Spring’s banner trend carried into fall with suede fringe skirts for day at Michael Kors, and sightings at Rodarte and Roberto Cavalli as well. ?Anyone with a taste for artistry will appreciate the weaving-inspired tassels on this coat. ?The classic bag gets even better with the fringe treatment. ?We’ve never met a going-out skirt quite like this stunner before. ?A scarf is an easy way to try the trend, and this two-tone version is particularly delightful. ?If there ever was a dress made for twirling, this is it. Electric dance prints for all. Try this tee tucked into high-waisted jeans, and accessorize with a pair of mules! Create instant drama by carrying this clutch. We’re getting Taylor Tomasi Hill vibes. This frock was made for dancing. This fall we’re taking a page out of Prince’s playbook with a statement solo earring. Between the Celine and Louis Vuitton runway, as well as Vogue’s stamp of approval, it seems the jewellery trend is full steam ahead on the fashion front. ?Is there any prettier combination than malachite and Swarovski crystals? ?If a large dangly earring isn’t quite your speed, consider this pearl-bedecked spike. ?Woven details give an earthy feel to glossy Swarovski crystals. ?Who said a sleek earring can’t make a statement? These statement fringe earrings make such an impact that you really only need one. Which trend are you most excited about for fall? Let us know in the comments!